Special Summer Deals for First Time Visitors at Smash Gyms! Smash Gyms is having a summer sale for first time visitors only! You can try our fun & unique group fitness classes at a huge discounted rate! If you are already have membership at Smash and have been trying to get your friends to try our classes this is a great gift. If you have never tried our classes then this is a great opportunity to see for yourself what all the Smash Gyms hype is about. Smash is one of the fastest growing fitness gyms in the Bay Area. We have created an amazing training environment with top quality instruction and unique exercise alternatives. Smash delivers a social and fitness experience that you have to see to believe . Our members receive top quality instruction in addition to the community support that our wonderful members provide. Fun & Unique Fitness Classes! First time visitors can either buy a discounted 10 class punch card at the link above or they can try a FREE WEEK of unlimited classes at Smash Gyms. These two promotions can not be combined! We are no longer offering Groupon promotions so get your discounted rate directly from Smash! Over 80 Classes a Week! Morning, Noon & Evening! The advantage to the First Time Visitor Punchcard is you can use it at your convenience! Like many in Silicon Valley you may not have the time to try all the classes in one week. The punch card allows you to try all the classes when you have time! Train Different! Have Fun as You Get Fit! New Kids Class for 3 years old and up! Until now our popular Smash Gyms Kids Martial Arts classes have only been for ages 5 and up. Starting in June we will launch our new Little Smashers Program! This class will be for ages 3 and up. This exciting new class will have a strong focus on safety, developing coordination and having fun! Our exceptional kids martial arts classes are taught by professional instructors with a definitive curriculum. 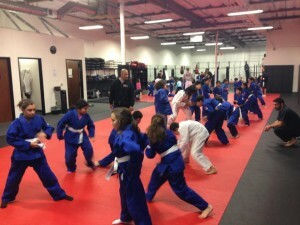 Smash has one of the largest kids martial arts programs in the South Bay Area including kids karate, kids brazilian jiu-jitsu (bjj), kids kickboxing classes, and kids tutoring. The Smash Gyms Kids Martial Arts Program can and WILL help your child increase their confidence, self-esteem, discipline, while teaching them self-defense skills that will last them a lifetime! In our programs your child will be able to progress at their very own pace. We understand that everyone learns differently. Whether your child can only train once a week or everyday we have the program that will fit your needs. The Little Smashers program will be at 4pm from Monday-Thursday. Try a Free Week! 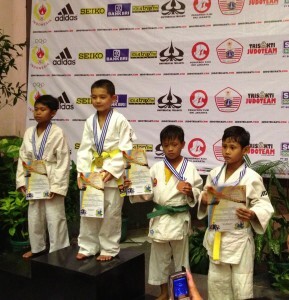 Our kids Jiu-Jitsu, Karate, and Kickboxing programs have had rave reviews from parents. Try a Free Week of classes! We have classes for the whole family! Everyone had a great time in our Beginner Friendly Self-Defense & Combatives Class at Smash! This class covers a wide variety of self-defense topics including weapons training, striking, grappling and more. Every class is a great workout, fun and taught by an authority on the each subject. All fitness and experience levels are welcomed. Our last class covered gun disarming techniques. One important aspect of our new self-defense program that will differentiate it from many other programs is our training methods. We give our students the ability to train with full resistance in live scenarios to truly test and master techniques and strategies. You don’t have to take someone’s word for or buy into marketing, you can come see and feel it work. Obviously if someone is pointing a real gun at you, the best thing to do is comply with their request, unless their request is something you’re not willing to give up. If someone pulls out a gun and asks for your wallet, you should hand it over in a second. It will most likely never happen, but what if someone pulls out a gun with the intention of hurting you or someone you love? You should decide ahead of time what line someone needs to cross before you’d be willing to risk your life and fight. What are your options? Can you outrun the bullet? Obviously not. In reality, it’s going to be very difficult to kick or punch a gun from a person’s hand while they are attacking you. All they have to do is point and squeeze. You could try to knock them out with a punch or kick, or eye gouge them, or groin kick them, and all those options could possibly work. You would have to test it and measure the results to know for sure. How realistically can you train those options against full resistance? Can you can find partners tough enough to let you really punch them and eye gouge them full power without protective gear so that you can perform a real test? The most important thing is to test and train weapons disarm techniques in a realistic simulation to the real thing. If eye gouging is your solution, you don’t know if you can really eye gouge someone effectively unless you’ve really done it in that scenario. Not your instructor, not their instructor. YOU. If you have not ever done it live how do you expect to perform under the stress of a real life or death situation? The benefit of practicing our system of disarming techniques is that you can do it for real, safely, against someone who is resisting 100%. Our self-defense program is beginner friendly and safe but we will go live. Defending against exactly one technique that you know your opponent is going to do is not live. You have to test theories in a live, unpredictable, unchoreographed, competitive situation to truly learn what will work and to ingrain those responses into your instinctive reactions. If a beginner is going with a more experienced student, the experienced person can modulate their level of resistance to an appropriate level, so that the beginner can learn. We will all lose and we will all win sometimes. The more we lose, the more we learn. You will gain confidence over time from developing a real skills and experience. Here are a few of the tips from last night’s class! – If an attacker gets the gun out, avert the muzzle from your body, get your body close to the gun, get your two hands on the gun/their wrist and try to disarm. – For semi-automatic pistols, if you have your hand wrapped around the slide firmly and the opponent pulls the trigger, the gun will not cycle and will not function until he pulls the slide back. It won’t hurt your hand at all if you’re gripping firmly because all the hot gases will go out the front of the barrel. – If you’re in a stalemate(one hand vs one hand or two hands vs two hands on the gun), then use your positional skills to improve your position until you can isolate their arm. This is where all the fun happens, you’re basically just doing jiu-jitsu with no hands. – Technique is less important than the sensitivity and timing you develop from going live with resistance. When you go live, it doesn’t look like what you practiced statically without resistance. – It’s not over until it’s over. People seemed to have a hard time believing that someone could take multiple shots and keep fighting. That’s really one of the most important lessons. You can keep fighting a lot longer than you would think based on Hollywood depictions of gunshots. Below is a video of one of our instructors participating in a more intense version of what we do in our beginner friendly classes. Beginners in our classes will be start off by training in a fun and lower intensity version of the video below. Beginner training at Smash will be on a safe padded mat with a fake gun and under the supervision of instructors. This video is of self-defense weapon disarming techniques done in a gravel pit with a paint ball gun and protective gear. 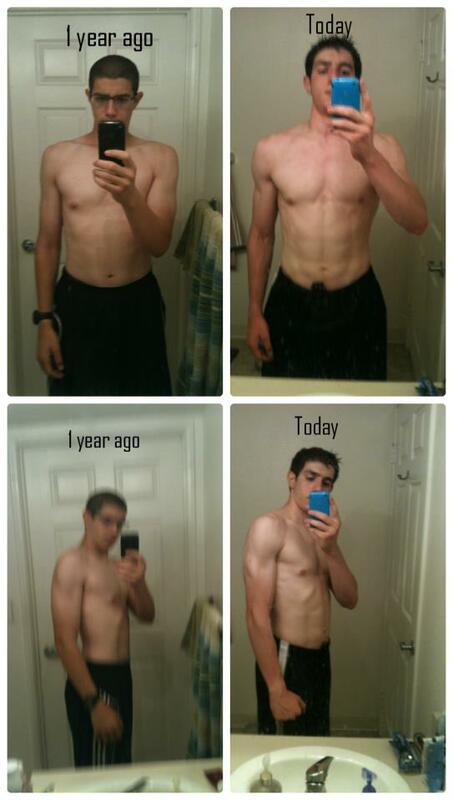 Congratulations to Sunnyvale Smash Gyms Member Ibrahim for such amazing progress! One of our many success stories at Smash. Our instructors take a proactive interest in every member’s goals and progression. Our members receive top quality instruction in addition to the community support that our wonderful members provide. We’ll change your life! Below is an excerpt from Ibrahim’s Facebook post. Ibrahim takes Smash Gyms Strength & Conditioning Classes 3 times a week! Smash is located on the border of Santa Clara & Sunnyvale. Just one mile from the new 49er Stadium and Rivermark Plaza!